In this tutorial, you'll learn how to build a mobile app which uses an RSS feed. Allow yourself 20 minutes for this tutorial. This is by far our longest video. We introduce many very useful EachScape concept which will truly help you build your app. We are confident these 20 minutes will be time well invested! 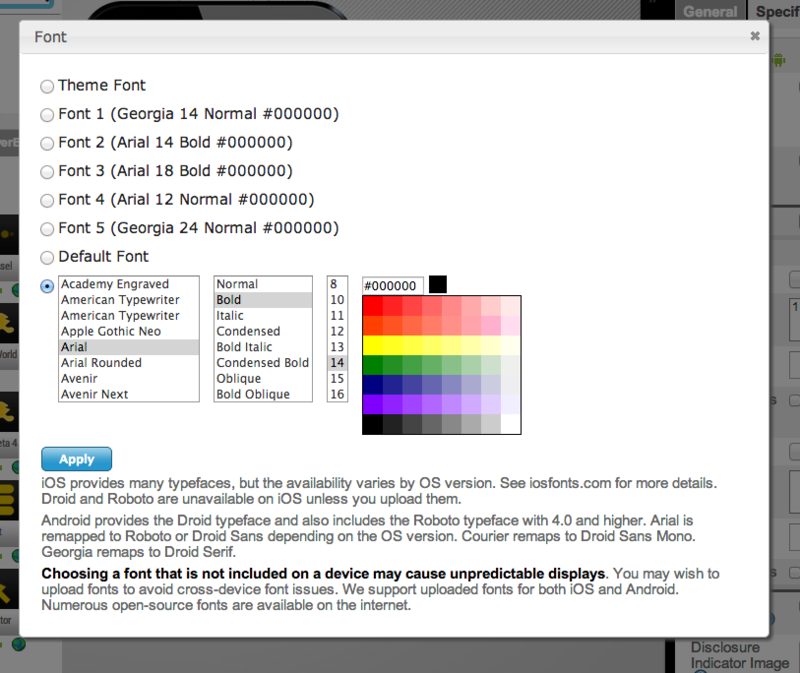 Configure Layout, specifically the Canvas. Click the "New" button at the top left of the builder to create a new app. When you click away the 'Data Descriptor' auto populate. Press the Create button, which will create the Data Source. Click on the "Develop" tab at the top of the builder to get back to the views that make up your app. Select the "Connect / Remove Data Source" in the Navigation Panel under your app name. 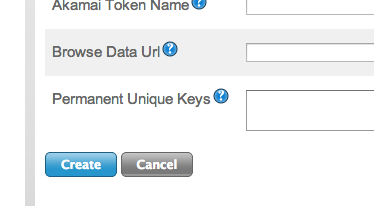 Select the Data Source we just created and hit the Add button. This will give the app access to this Data Source. We now have a data source associated to our app. To display the content of this data source we will use the List Block. Pick the List Block from the Component Selector and position it underneath the title of your app. Right click on the List Block to bring up the Block Editor. When you click into item the fields from the feed are displayed. This will display the Title (headline title) from the feed. Repeat the operation with Description field in the second item. You can customize the display of the List Block list item as you see fit. We need a second view that will display the articles associated with our view listing the headlines. (under the 'Layout' section). Hit the Create button. Add a Text Block to show the BBC title as we did in our first View. We need to display the Title of each article in our article page. To do this, we use a Text Block but instead of using static content we use the content from the data feed. Here we drop a Text Block in our Article View and Right Click on that Text Block to Edit it "Edit Text 2"
Right click on the Text Block brings the Component Editor. In the component Editor we click in the Text field to bring the Value Editor. 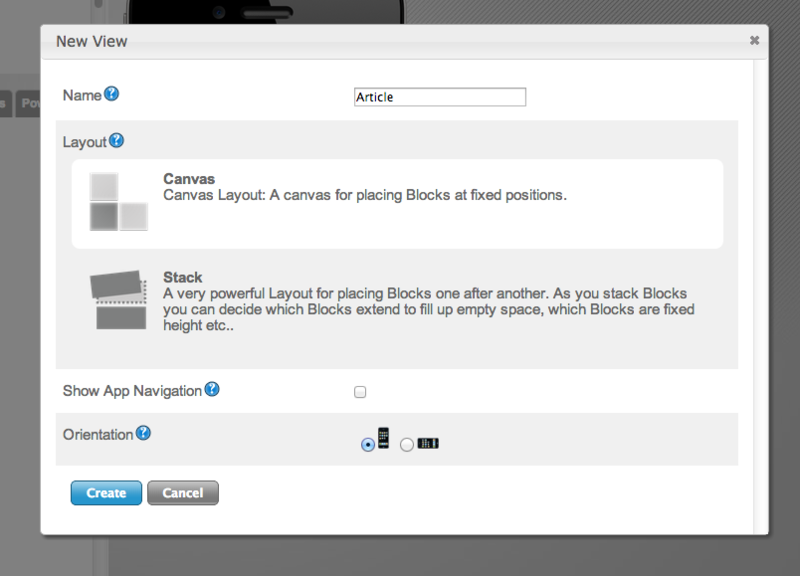 Open the Block Selector and Drag & Drop the HTML Block in your view. Resize it manually for it to fill up the remaining space in your View. Right click on your HTML Block to edit it. In this case we will write our own. In our example we added a tiny bit of HTML using the marker <P> and added the "description" field of or feed inside. The key is to bring the Article view when a user taps on the headline in the headline list. To do this we are using Action associated to a Tap Event. Select our First view in Studio (just click on it in your App Tree). Right Click to bring the contextual menu. We want to associated an action 'Switch to another view' to a Tap Event. Select the '+Action' button to bring up the list of Actions. Choose the view to transition to. In our case 'Article' view. In our example we use "Push from right"
We now have created an RSS feed reader with 2 views. When a user taps on a headline in the first view it will transition to the second view and show the article. We are now ready to Preview the app.